Social studies education helps explain the world in which we live. Much like science teaches children to observe the physical aspects of life, social studies encourages children to open their minds to the many places humans live on this planet. Not only does the social studies curriculum teach physical geography, but as students learn about different places, they also become aware of the many cultural differences of the world’s populations through the study of sociology and anthropology. As they learn more about cultural differences, students begin to find that there are a large number of cultural similarities as well. 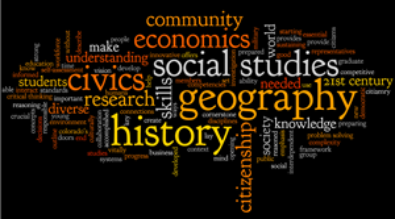 Studying social studies helps students figure out their role in society as well as their place in history. Social studies students learn they are part of a larger societal organization that must have structure in order to operate for the good of all the people in the group. Student Government elections will occur on Tuesday October 27th. Please make sure you cast your vote for President, Vice President, Secretary, and Treasurer. “The focus for social studies in grade eight is the history of South Carolina and the role that the state and its people have played in the development of the United States as a nation. Students learn about the state’s development during colonial times; the growth of the American ideal, which led to the break with England; and the rising controversy about slavery, which led to the Civil War. 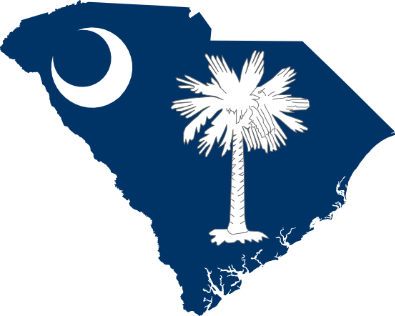 The continued study of South Carolina from Reconstruction to the present, including the struggle for social and economic justice waged by the people of South Carolina, further allows students to see the progress that the state has made and also to visualize the future challenges yet to be met and overcome.” - From the South Carolina Social Studies Standards 2011. 8-2 The student will demonstrate an understanding of the causes of the American Revolution and the beginnings of the new nation, with an emphasis on South Carolina’s role in the development of that nation. 8-3 The student will demonstrate an understanding of South Carolina’s role in the development of the new national government. 8-4 The student will demonstrate an understanding of the multiple events that led to the Civil War. 8-5 The student will understand the impact of Reconstruction, industrialization, and Progressivism on society and politics in South Carolina in the late nineteenth and early twentieth centuries. 8-6 The student will demonstrate an understanding of the role of South Carolina in the nation in the early twentieth century. 8-7 The student will demonstrate an understanding of the impact on South Carolina of significant events of the late twentieth and early twenty-first centuries. Dates are tentative and time is allotted for early release days and other classroom interruptions. Dates are subject to change based on standardized test dates and other days off. This is a two part project: A 5 paragraph report/essay and a 3 panel display board. See the rubric for more information. Join our class' quizlet group to get the vocabulary and the material to help you study!